Chung and Justin first met after running the Giants half-marathon. Although she describes it as “totally crazy,” it apparently was just sane enough to kick off a beautiful relationship. 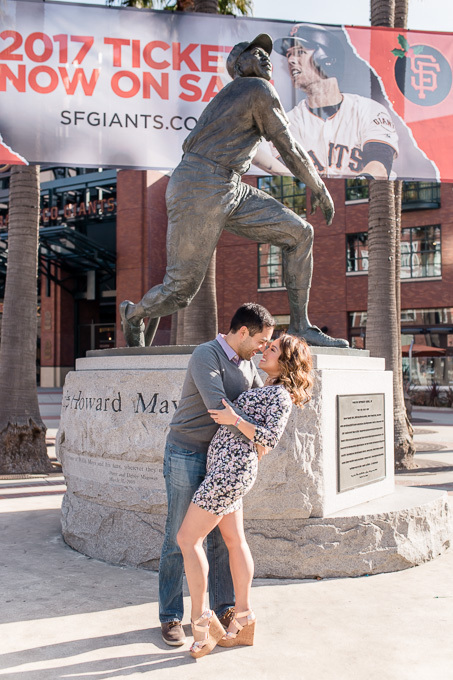 They met that day in front of AT&T Park and had drinks at Philz, so for their engagement session last week, we visited these same spots for some photos (and ​☕️​). 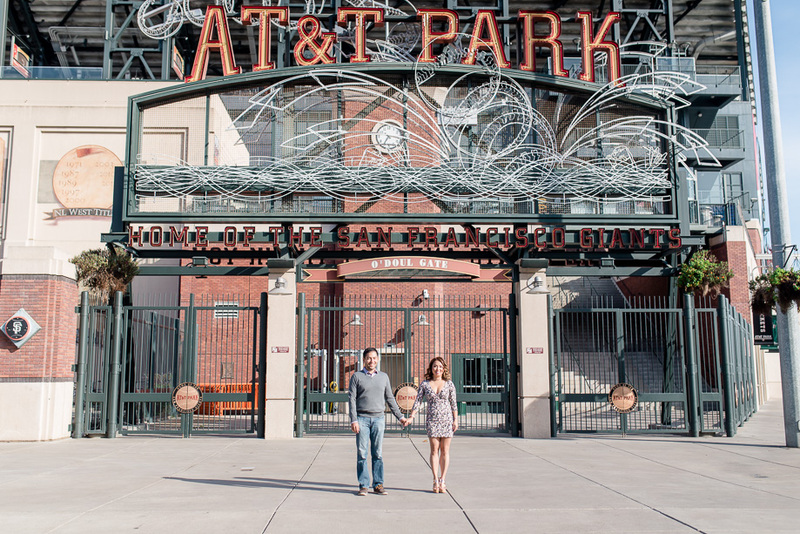 They have an amazing apartment overlooking the Giants Stadium, and we shot some photos there too. 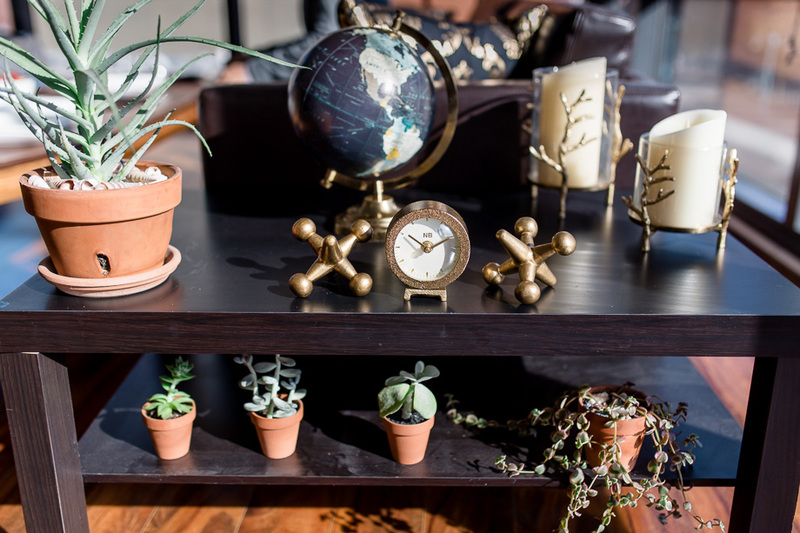 Outdoor photos are my staple for engagement sessions, but I loooove the intimacy of an in-home shoot! 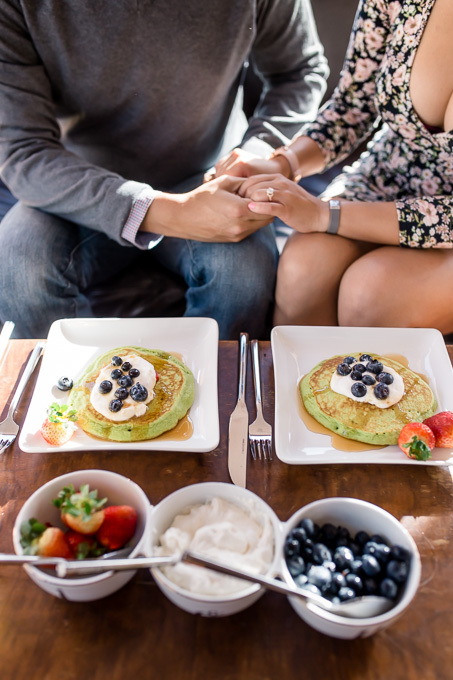 (Especially when the lighting in their kitchen is so perfect that I wonder whether a photographer designed the place.) 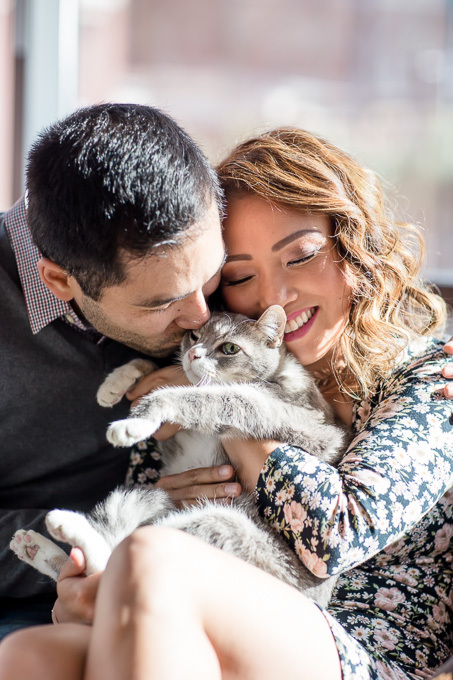 I had such a great time capturing C&J having fun and just being themselves: cooking, planting, and cuddling with their beloved cat Friskie. We can’t wait for the wedding next year!